How are we already in the August issues? Seriously, before we know it we'll be buying our September issues. Eek! The year has flown by way too fast. 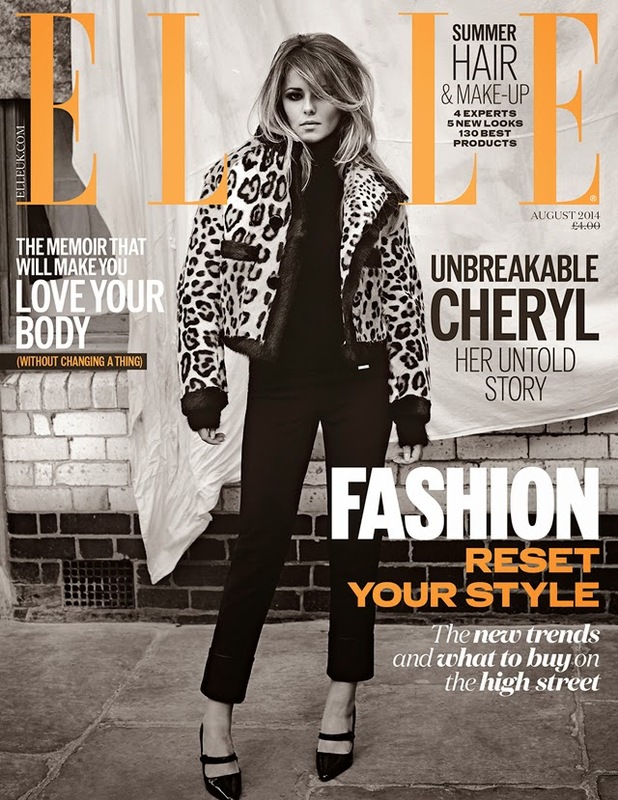 Today, we have our very first August issue and it's from Elle UK where we find a very fashionably dressed Miss Cheryl Cole. For the August issue of Elle UK, Cheryl Cole is ready for fall, wearing DSquared2 and Philosophy. You're gonna wanna pick up this issue not only for some information on the serious fashion Cole is sporting, but also for some pretty juicy tidbits on some of Cole's most controversial moments. For example, want to know what Cheryl Cole texted Simon Cowell after she was dropped from the X-Factor. Oh yeah, that's all here.